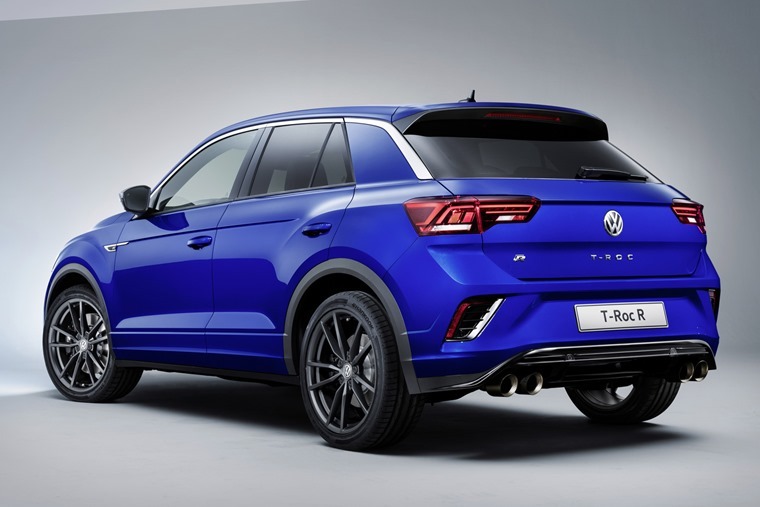 Ahead of its reveal at the Geneva Motor Show, first pictures and details have been released on the high-performance Volkswagen T-Roc R.
This powerful vehicle boasts some impressive performance data: the four-cylinder 2.0 TSI engine offers torque of 400 Nm and can accelerate from 0-62 in 4.9 seconds, while the top speed is electronically limited to 155mph. It is equipped with a 4Motion all-wheel drive and a 7-gear DSG dual-clutch gearbox as standard to ensure excellent acceleration without any loss of traction. The sports running gear (with lowered suspension) ensures ideal road holding while the 17in brake system – which was previously only found in the Volkswagen Golf R Performance – provides effective braking. The sporty characteristics of the Volkswagen T-Roc R are further underscored by its exterior design. The powerful crossover has some major differences compared to its more conservative counterparts including a specially redesigned radiator grille that runs the entire width of the vehicle. The bumper – which was developed specifically for this model – has a sporty design and is painted in the same colour as the vehicle at the front and back. In addition, the adapted underbody guard is in the same colour as the trim and the specific air inlets are typical of the “R” design. At the rear, the double-ended exhaust system are specific to the “R” model. The T-Roc R is equipped with 18in alloy wheels as standard with 19in wheels are available as an optional extra. Step inside and the multifunction sports steering wheel with paddle levers and decorative stitching also shows the sporty side of the vehicle. The “R” logo is featured throughout the cabin including the key cap, panel trims, and backrests. The reveal follows a video of a prototype undergoing testing at the Nurburgring Nordschleife. 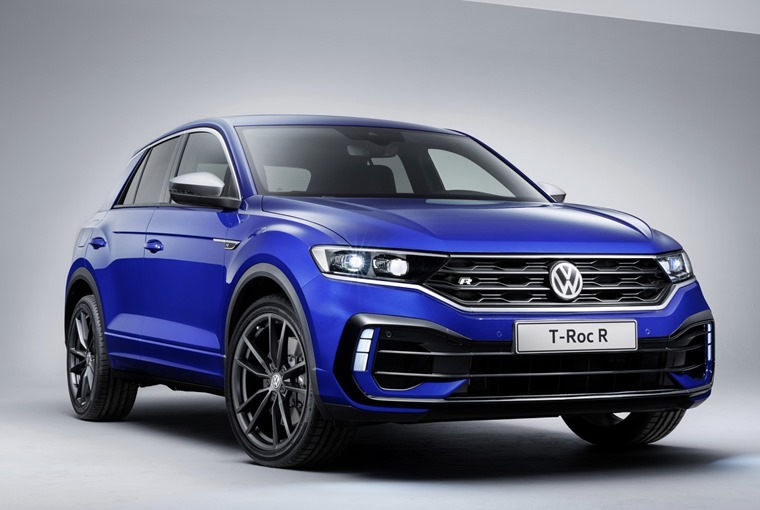 Though closely related to the Volkswagen Golf R, the T-Roc R follows the lead of the Cupra Ateca as being the next performance SUV at VWG which isn’t surprising given it shares the same platform.